On March 12, 1996, the United States Congress passed one of the most regressive and draconic foreign policy initiatives in recent memory with the Cuban Liberty and Democratic Solidarity Act (LIBERTAD), also known as the Helms-Burton Act. This legislation was enacted in response to a 1996 incident in which the Cuban air force shot down two civilian planes belonging to the Miami-based anti-Castro initiative, Brothers to the Rescue. Congress passed the act in an attempt to place a stranglehold on Cuba’s economy in order to facilitate its long-term goal of expelling Castro from office. Helms-Burton proved to be a costly policy both in terms of the resources it consumed as well as the negative impact it had on Washington’s reputation. Prior to the 1990s, the U.S. trade embargo on Cuba had never been officially designated by law, but was rather upheld by a series of executive orders. President Kennedy initiated the U.S. trade embargo in 1962, in response to Cuba’s nationalization of U.S. assets in the wake of the Cuban Revolution. The embargo drove Cuba to rely on the Soviet Union as its primary trade partner—so much so that Cuba’s economy eventually became completely dependent upon its communist ally. When the Soviet Union collapsed in the early 1990s, the Cuban economy quickly tanked. With its largest trading partner defunct, Cuba almost immediately lost around 85 percent of its foreign trade, with its GDP falling by a third between 1989 and 1993. This led the island nation to undertake drastic economic reforms as a means of attracting foreign investment and other sources of capital. A hardening of Washington-Havana relations soon resulted, leading to the signing of the Cuban Democracy Act, also known as the Toricelli Law, in 1992. This was the first step towards making the embargo on Cuba an official law, rather than a general policy upheld by successive administrations. Representative Dan Burton (R-IN) initially introduced LIBERTAD on February 14, 1995. The act passed both houses of Congress and went through a conference committee by December 14, 1995, with overwhelming support from Republicans. President Clinton, however, was hesitant to sign the bill. The situation turned on its head on February 24, 1996, when the Cuban air force shot down two Florida-based aircrafts belonging to the anti-Castro exile group Brothers to the Rescue. The group had been formed to aid Cuban refugees trying to flee the island. This explosive incident focused national attention on Cuba, thereby garnering political support for forceful action against the Castro regime. With the political tides in his favor, President Clinton signed LIBERTAD into law on March 12, 1996. Helms-Burton was not the only piece of explicitly anti-Cuban legislation circulating in Congress at the time. On February 9, 1995 Representative Charles Rangel (D-NY) introduced a diametrically opposed bill, the Free Trade with Cuba Act, designed to remove the embargo and begin a dialogue with Cuba. In doing so, Rangel sought to work out an arrangement regarding the disposition of expropriated U.S. property in Cuba. Congress neglected to pass the bill, opting instead for a hardline stance against Cuba and eschewing constructive policies to effect transformation. The first two titles of the Helms-Burton Act effectively strengthened and codified the economic embargo of Cuba. Having previously been a set of Executive Orders, the President had the ability to shape and transform the embargo as he saw fit. Title I removed this ability by making the embargo an explicit law. The Act officially codified the U.S. stance that the international community should prohibit Cuba from joining any international financial institutions and remove of Cuba from the Organization of American States. Section 110 of the Act laid out provisions to block the importation of Cuban-made goods from countries that engage in the trade of such commodities. This section is particularly hard on regulations affecting the trade of sugar, one of Cuba’s most important export industries. Title II of the Act requests that the President organizes a plan to provide economic assistance to Cuba, but the requirements to receive such assistance are extremely difficult to fulfill. The President is only permitted to “take steps to suspend the economic embargo” if a transitional government receives official recognition from Congress. The criterion used to determine whether a transitional government is in effect are difficult to satisfy. These include releasing all political prisoners, dissolving the Cuban Department of State Security, and taking “appropriate” steps to return assets to U.S. citizens that the Cuban government confiscated after January 1, 1959. Furthermore, a government in Cuba will not be considered “in transition to democracy” if Fidel or Raul Castro is in any way involved. If the President takes action… to suspend the economic embargo of Cuba, the President shall immediately so notify the Congress. The President shall report to the Congress no less frequently than every 6 months thereafter, until he submits a determination… that a democratically elected government in Cuba is in power, on the progress being made by Cuba toward the establishment of such a democratically elected government. The action of the President… shall cease to be effective upon the enactment of a joint resolution. The embargo has been nothing but damaging to the United States, and the legal barriers in Helms-Burton that obstruct the embargo’s repeal only aggravate such problems. The embargo, without question, has caused substantial economic damage to the U.S., such that the Cuba Policy Foundation has estimated that the U.S. loses between USD 126 million and USD 252 million in agricultural sales each year. The embargo also increases the worldwide costs of doing business, driving up the price of imported goods. Countries that trade with the U.S. have to certify that their products do not contain Cuban intermediate or raw materials. The aforementioned certification process is a significant drain on time and resources . 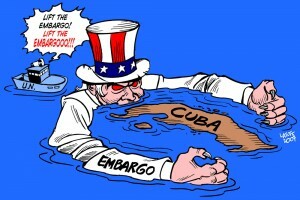 Overall, estimates indicate that the embargo on Cuba has cost the United States up to USD 4.84 billion annually, and by the year 2000, it was estimated to have cost a total of USD 67 billion in economic losses. Furthermore, this embargo has failed to achieve its stated goals of removing the Castro brothers from power. Since the embargo went into effect a half century ago, the Castro regime’s power has persisted. The codification of the embargo as official U.S. policy under the Helms-Burton Act has done nothing to alter the status quo with Havana. The embargo has not effectively wrought the expected damage to the Cuban economy. Foreign Direct Investment (FDI) in Cuba was a paltry USD 2 million in 1990; after the passage of Helms-Burton, FDI rose to USD 74 million by 2000, and in 2008 a full USD 185 million reached Cuban shores. Despite U.S. attempts to cast out the Castro brothers by way of economic sanctions, Helms-Burton has not effectively prevented the Cuban economy from receiving economic support elsewhere. Indeed, it can be argued that the embargo may have only strengthened the cause of the Castro regime. It has stoked anti-U.S. sentiment among the people of the island, and provided an easy scapegoat on which the Castros can heap blame for economic problems. This has made the Helms-Burton Act a “regalo del cielo, [or] a gift from heaven for Castro,” as stated by Professor Joaquín Roy of the University of Miami. 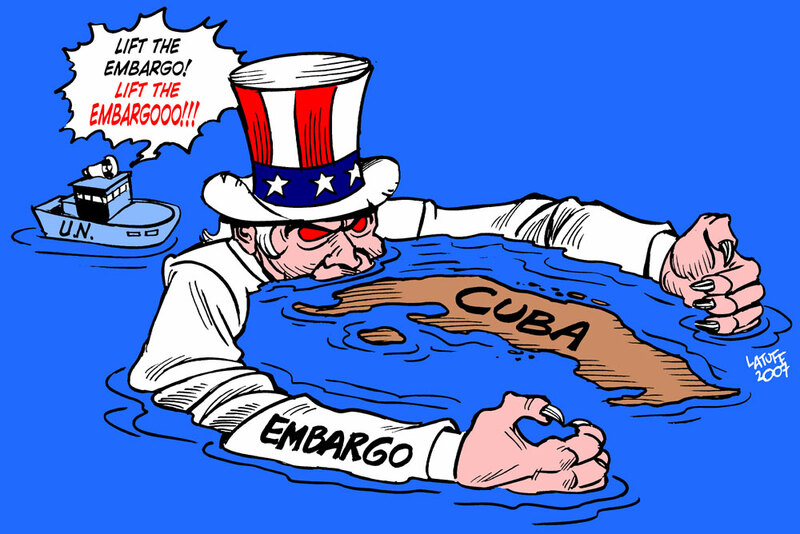 The embargo on Cuba has only hurt U.S. interests, and Titles I & II of the Helms-Burton Act have made it difficult to modify or end this malevolent policy. The most controversial provision of the Helms-Burton Act has been Title III. This provision allows for U.S. companies and individuals to sue, in a U.S. court, any entities that “trafficked” in, or profited from the use of, confiscated U.S. property, regardless of the nationality of the defendant. Furthermore, the definition of U.S. “nationals,” who can sue foreign entities, has been extended to Cubans who were not U.S. citizens at the time that their property was confiscated, but have since become naturalized U.S. citizens. The extraterritorial powers implicit in this provision angered numerous other nations, and harmed U.S. standing in the world. Title III includes a waiver that allows the U.S. President to suspend this provision for periods of six months, provided certain conditions are met. The waiver requires the President to provide a written explanation to Congress that the suspension is “in the national interests of the United States and will expedite a transition to democracy in Cuba.” This action must occur fifteen days before such a suspension would take place. However, this provision in the Act is written in such a way that makes it very difficult to waive Title III. Surprisingly, Presidents Clinton, Bush, and Obama have each found ways to issue waivers of Title III every six months since the enactment of Helms-Burton. Unfortunately, before Clinton could veto the legislation, his administration was forced to deal with a disastrous international relations setback. When Helms-Burton was first enacted, many of the United States’ most resolute allies were in an uproar over the U.S.’s blatant attempt to grant extraterritorial powers primacy over their intrinsic right to trade with whomever they chose. Almost immediately, the European Union (EU) identified a list of responses to the Helms-Burton Act, which included threats to enact legislation of its own to counter Helms-Burton policies. Some countries passed legislation that allowed companies to file counter-claims in European courts should they be sued under Title III of Helms-Burton. Shortly thereafter, the EU filed claims with the World Trade Organization (WTO) aimed at settling the dispute between the EU and the U.S. over the Act’s provisions. The fact that the United States has a policy on the books that has been consistently disregarded over the past 15 years reflects the inanity of such a provision. However, despite being waived, Title III puts the U.S. government in an increasingly dangerous position. Since 2002, many Cuban-Americans have been pushing the President to act tough by not waiving the Title anymore. These voters significantly affect presidential elections in Florida. essentially making the Helms-Burton Act a political third rail. On the other hand, it would be a complete disaster for Washington if it alienated some of its closest allies by prosecuting them under self-granted extraterritorial powers. Along with posing a real political hazard, there is no evidence that Title III has ever been effective at fulfilling its original purpose. FDI has steadily risen in Cuba since the enactment of Helms-Burton, yet countering FDI was the purported reason for including this section. Title III benefits no discernable group or person, and deserves to be expunged. Less attention has been given to Title IV of the Helms-Burton Act; however, this provision should be considered just as damaging as Title III. In certain ways Title IV could potentially be even more dangerous, because no opportunity exists to waive this provision. In a manner similar to Title III, Title IV prohibits the entry of any aliens into the country who work for companies which have “trafficked” confiscated U.S. property. To date, only the executives of three companies have received exclusion notices. Of the three companies to be sent such notices, only Sherritt International, a Canadian mining company, has actually had any executives banned from the United States. The fact that only one company has faced charges under Title IV, despite there being no possible waiver for this provision, demonstrates that this portion of the Act has largely been an utter failure. 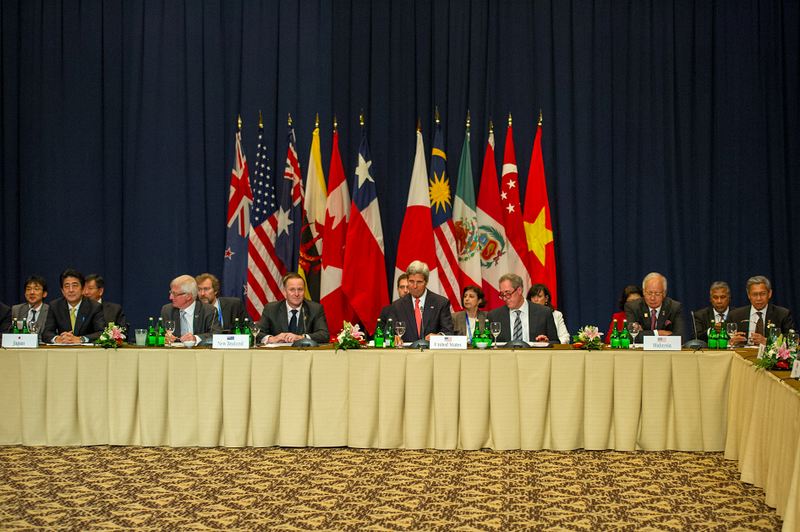 The Helms-Burton Act continues to hinder U.S. foreign policy. It has made existing embargo policies that harm U.S. economic interests much more difficult to repeal. As long as the legislation remains on the books, the possibility of alienating some of the United States’ closest allies remains. Many of these policies have not been enforced, and remain a prominent example of the country’s bloated Cold War infrastructure. Given its myriad flaws, this is one law that should be discarded into the State Department’s trash bin of failed policies. Hillyard, Mick and Vaughne Miller. “Cuba and the Helms-Burton Act.” International Affairs and Defense Section: Economic Policy and Statistics section. 14 December 1998. 7 April 2011. p.8. Print. Freyre, Pedro A. “Helms Burton: The Dilemma of Hard Wiring Policy.” p. 191. Print. 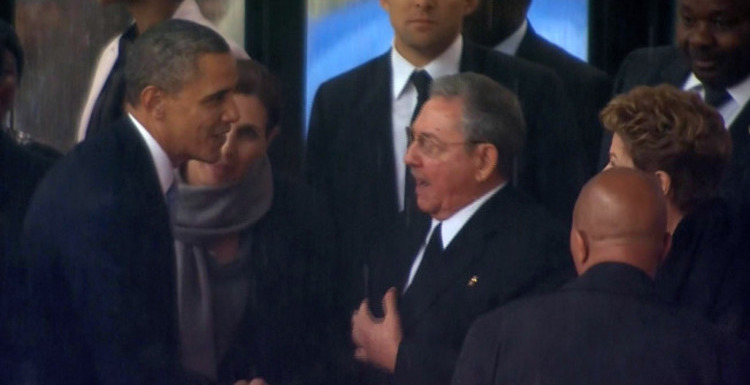 Shakur, Snowden, and the State Department: Is Cuba a State Sponsor of Terrorism? June 28, 2013 COHA Comments Off on Shakur, Snowden, and the State Department: Is Cuba a State Sponsor of Terrorism?